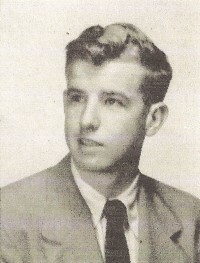 The Mial Williamson scholarship was established in 1988 with a gift by Mial’s brother, Bob, challenging Mial’s classmates from the Class of 1949. The challenge was met within a few weeks, and the scholarship has been awarded since then. It is an award that provides a monetary gift to a student who shows the qualities of leadership and athletics that Mial possessed. Mial was president of the student body, co-captain of the basketball team, and served the school energetically throughout his high school years. Mial also had four brothers who graduated from Broughton: Carl ’37, Bailey ’40, John ’43, and Bob ’51.